— ROMNEY, W.Va. — Johnny Lee Fields Sr., 63, of Romney, died Sunday, Jan. 2, 2011, at the University of Pittsburgh Presbyterian Hospital, Oakland, Pa. He was born June 4, 1947, the son of the late Arnold Lee Fields and Elsie Mae Taylor Fields. In addition to his father, he was preceded in death by a son, Corey Bartlett. Johnny was a member of The Church of Jesus Christ of Latter Day Saints, Romney, a three-time Golden Glove winner in his boxing career, and he taught boxing in Cumberland, Md. He enjoyed and excelled in all sports. 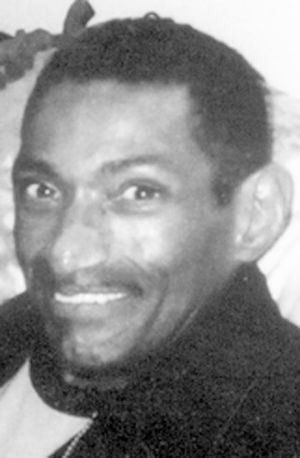 He is survived by four sons, Johnnie Jr. and his wife Janie of Fairbanks, Alaska, Johnny Fields and his friend Sherry of Virginia, Michael Fields and girlfriend Cheryl of Cumberland, and Courtney Rice of Cleveland, Ohio; daughters, Crystal Bartlett of Chulavista, Calif., Jonia Grubbs of Florida, Jonesha Wagoner of Nebraska, Monica Fields and boyfriend Perry of Cumberland, Jonya Burns of Newport News, Va., and Corey Rice of Cleveland; two brothers, Roy Fields of Romney, and Joseph Fields of Winchester, Va.; and one sister, Gloria Henderson of Baltimore; 26 grandchildren; two great-grandchildren; and lifetime friends, Billy Powell and Annette Clay Fields. The family will receive friends at the Shaffer Funeral Home, Romney, on Thursday, Jan. 6, 2011, from 6 to 8 p.m.
Funeral services will be conducted at the funeral home on Friday, Jan. 7, 2011, at 11 a.m. with President James R. Showers from the Church of Jesus Christ of Latter Day Saints, Romney, officiating. Interment will be in Pisgah Cemetery, Romney. African Americans, History; Allegany County (Md. ), History.